1 Acacia (arabica) L. Acacia Flowering Full sun Trim often in growing season. Hard prune after flowering Requires diligent pruning to prevent cross branches. 3 Aralia (polyscia,ming) L. Aralia Evergreen Foliar Semi-shade Pinch growing tips. Hard prune annually to get compactness. Prune drastically. Use heavy but flexible wire; wind loosely or the plant tends to snap. 6 Bauhinia L. Tomentosa galpini Flowering Full sun Prune regularly with minimal wiring Clip and grow. Wire only when absolutely necessary. Dwarf variety is more suitable. Susceptible to inexplicable die-back. 7 Bottlebrush L. Callistemon Flowering Full sun Light and medium pruning. Pinch growing tips. Minimum wiring required. Prune severely to avoid legginess of shape. Thereafter clip only vigorously growing shoots. 8 Bouganvillea L. Bouganvillea Flowering Full sun Hard prune before growing season. Maintain shape through pruning. Fertilise liberally in all seasons; prune heavily but stop pruning one month after the end of rains. Defoliate once brances have elongated to induce sub-branching. 9 Boxwood L. Buxus Foliar Full sun Prune only older growth. 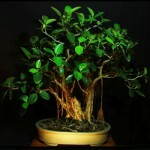 Wiring is not necessary nor possible due to bushy growth habit. Likes an open soil mix or better still prefers to grow on rocky surfaces. Does well on rock slabs. 10 Brya L. Brya Ebenus Foliar Full sun Trim regularly every month Selective pruning of branches helps to achieve density of shape. 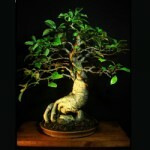 Allow lower branches to elongate before stopping. 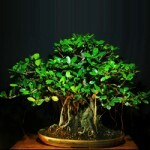 12 Carmona, Ehretia L. Carmona microphylla Evergreen Foliar Full sun Compatible to scissor training, brittle for wiring although tender branches can be wired. Chip and grow. Prune at will to get rampification. Do not neglect watering. Plant tends to shed leaves if temperature falls too low or if less watered. 14 Cedar, Deodar L. Cedrus deodara Evergreen Foliar Full sun Use only sand. Late spring annual pruning necessary To develop lateral spreading of the tree, cut new growth of side branches half-way back in spring. 17 Crepe Myrtle L. Lagerstroemia Indica Flowering Full sun No wiring, only pinching or occasional pruning for shape Fertilise with Phosphates amp; potassium throughout the year. 19 Dividivi L. Caesalpinia coriaria dividivi Deciduous Foliar Full sun Scissor pruning only Do not wire as the branches are brittle and are easily scarred. Watch pruning scars as they tend to bulge. Good for group plantings due to tiny leaf size. 20 Duranta L. Duranta Repens Evergreen Foliar Full sun Scissor training; minimum wiring; prune at will throughout growing season Needs continuous pruning and thinning to keep under control. Tip-Pruning should be avoided as this causes dieback. Feed with lime to counter die-back. 21 Elm L. Ulmus Evergreen Foliar Full sun Wire shaping possible; scissor training essential to keep shape. Prune at will. Shorten overlong branches continually on lignification to strengthen tree scaffolding. Defoliate shoots once during growing season to induce sub-branching and also for reduction in leaf-size. 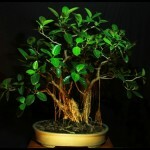 22 Ficus L. Ficus Evergreen Foliar Full sun Extensive wiring possible at any time. Prune throughout the year; shorten shoots to two/three leaves when they grow seven / eight leaves to get the twigginess in branches. 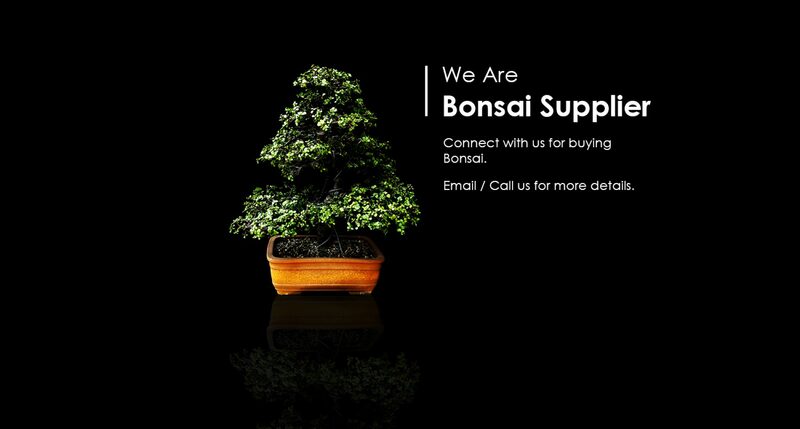 Tolerates drastic pruning but fertilise well beforehand Genus contains more than 100 varieties, all extremely suitable for bonsai, especially for root-over-rock style. Prune at will during the growing season. Fertilise well before heavy pruning to avoid die-back. 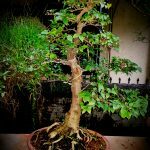 They like hot and humid conditions under which most ficus varieties grow aerial roots easily and these can be incorporated in the design, depending on the style. 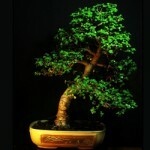 Also tolerates low light conditions due to which it is cultivated as indoor bonsai in temparate climates. 23 Fire thorn L. Pyracantha angustifolia Evergreen Foliar Full sun Upright growth habit needs to be controlled. Wiring and careful pruning will achieve the result Does not flower easily in tropical conditions. During bloom period, pinch out flowering branches just above first flower cluster; this will produce neat little clusters of berries to form in following fall/winter, and will keep plant in check. 24 Gardenia L. Gardenia Jasminoides Flowering Full sun Light and medium pruning. Pinch growing tips but stop pruning after monsoons to allow flower buds to set. Light wiring only when control of form becomes necessary Fertilise in spring with phosphates. Prune back hard after flowering Feed throughout the year to build flowering reserve.